John Wayne who? 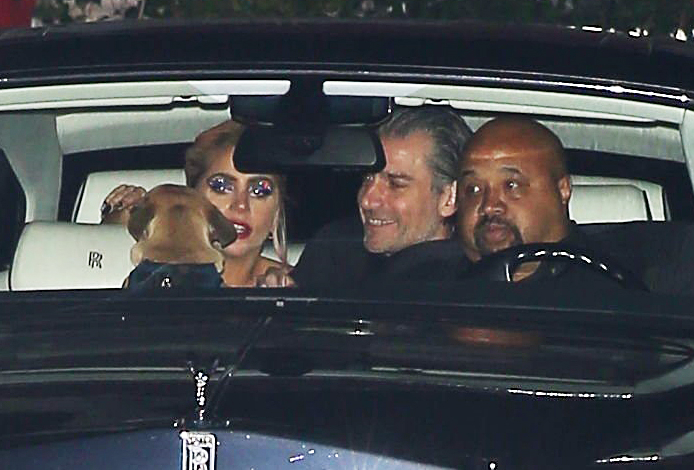 Lady Gaga brought her new boyfriend, Christian Carino, to a 2017 Grammys afterparty in Los Angeles on Sunday, February 12. 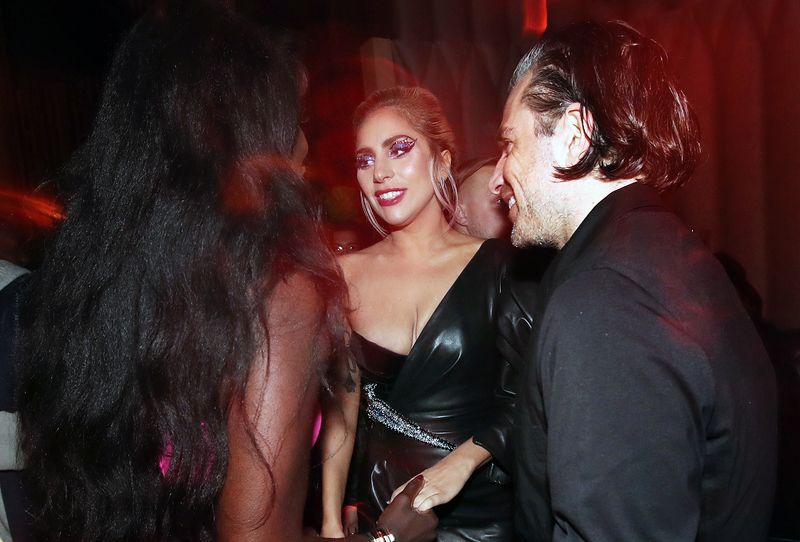 The six-time Grammy winner, 30, and the CAA talent agent were spotted mingling with the stars at Interscope Records’ annual bash at The h.wood Group’s Peppermint Club hours after her heavy metal Grammys duet with Metallica. Clad in an Alexandre Vauthier Haute Couture black leather one-sleeved dress with a Swarovski lightning bolt accessory, Gaga chatted with John Travolta, Ashlee Simpson and Evan Ross. An onlooker tells Us Weekly all eyes were on the new couple. “Christian’s assistant was third wheeling them and everyone was taking photos of the two of them,” the eyewitness says. Us exclusively confirmed last week — shortly after she delivered a stellar Super Bowl halftime show — that Gaga is dating her agent. Carino was spotted kissing Gaga on the cheek on the field at Houston’s NRG Stadium ahead of her high-energy performance. He also brought her to his close friend Tommy Hilfiger‘s fashion show in Venice, California, on February 8. PHOTOS: Grammys 2017 Red Carpet: See the Best Dressed Stars! Gaga previously dated Chicago Fire star Taylor Kinney. The former couple called off their engagement in July 2016 after five years together due to their hectic schedules. “Taylor and I have always believed we are soulmates,” she wrote on Instagram at the time. “Just like all couples we have ups and downs, and we have been taking a break … Please root us on. We’re just like everybody else and we really love each other.” Carino, meanwhile, previously dated The Walking Dead actress Lauren Cohan.